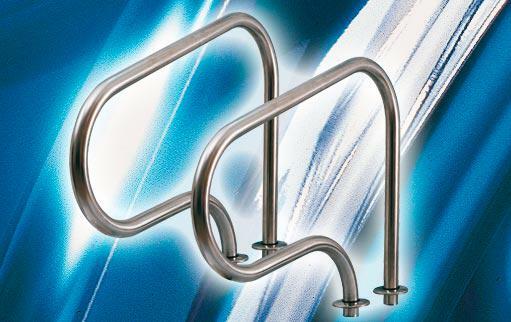 Manufactured in stainless steel with a 48.3×1.5 mm. 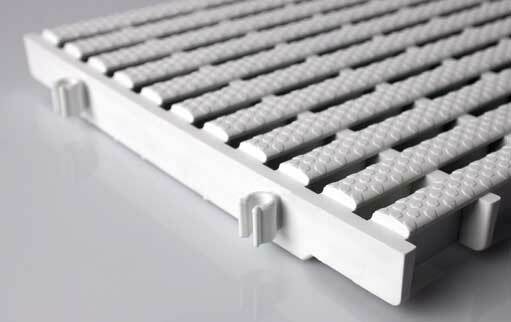 sized tube with solid steps in PP reinforced with a FV additive, featuring anti-UV and anti-shock performance. 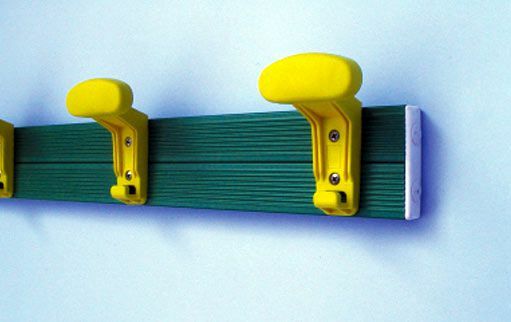 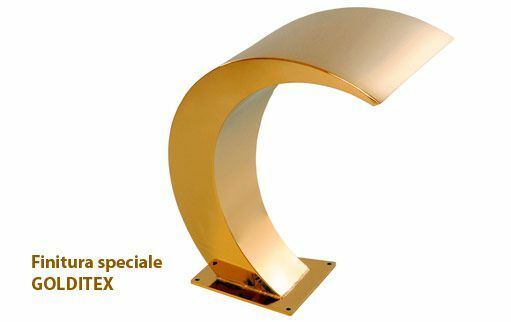 The finish of the lower caps for wall mounting are manufactured in pliable, anti-UV PVC. 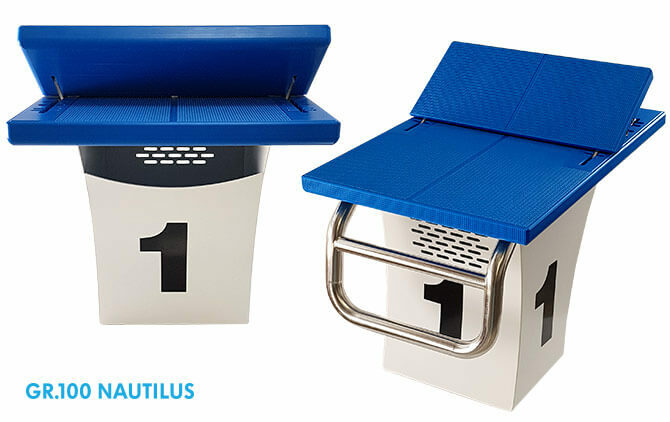 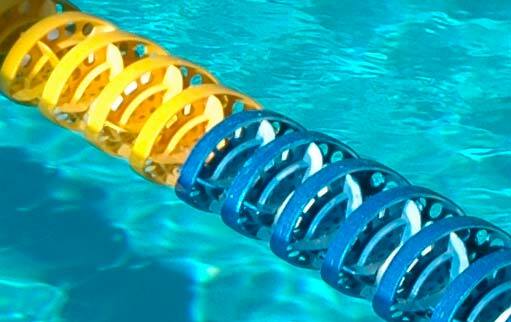 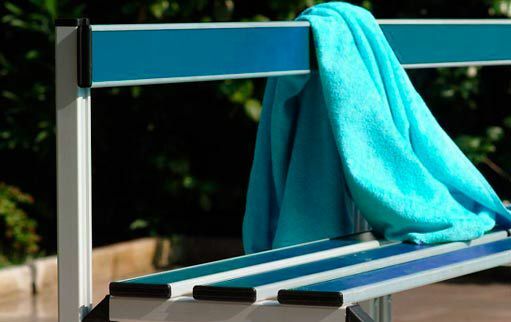 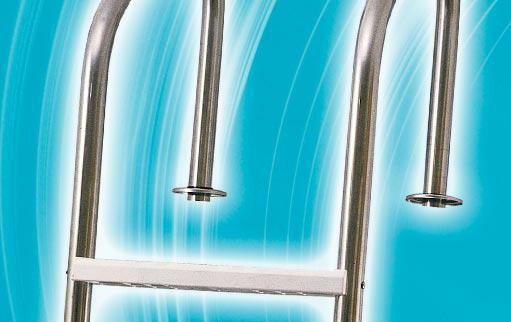 2) in stainless steel, ideal for pools with ladders that must be removed quickly and often. 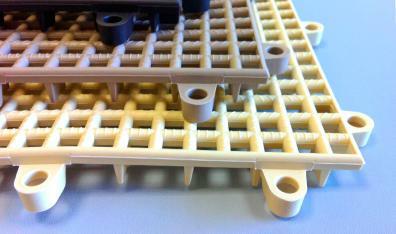 Upon the client’s request it is possible to make grab rails in different shapes for built-in masonry steps.